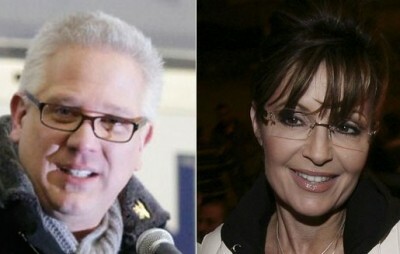 Glenn Beck says that when he heard Sarah Palin was leaving Fox News, he couldn’t have been happier. With the same fate befalling Sarah Palin, many speculated Beck would unite with the Alaskan ice queen, taking her into his fold and giving Palin her own show on his latest venture, TheBlaze. “I like the sound of it,” said Beck at first (TheRogue, Sarah Palin, you know, not GBTV) as he tossed around the idea of TheBlaze going rogue. “Sarah might just be the drug we need to pump even more life into the veins of TheBlaze,” Beck answered when asked what exactly Sarah could bring to the show. “Sarah Palin puts the “pug” in pugnacious,” said a fired-up Beck. But almost as quickly as he entertained the thought of bringing Sarah on board, he reneged on the potential deal, resulting in a collective sigh of relief by everyone associated with Beck’s internet television show. In a related news story, Tina Fey has pleaded with her fans to stop texting her, asking what she is going to do now that she no longer works for Fox News.